Coliseum Imaging is the leading provider of MRI Imaging in the Greater Kansas City Metro Area, offering both 3T and 1.2T High Field Open MRI services. At Coliseum, we believe in providing our patients and referring physicians the highest quality MRI imaging available at the most competitive prices. We are committed to creating an exceptional experience to both the patient and the referring physician. 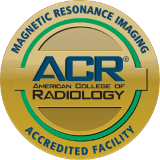 Our Radiologists have been fellowship trained in sub-specialty programs, so you can be confident when you chose Coliseum Imaging you are receiving the highest level of imaging diagnosis. We are conveniently located at 8000 College Boulevard in Overland Park, near I-435 and Antioch. Contact us today to schedule an appointment. We offer flexible scheduling, including night and weekend hours.